We are excited to announce that Hatch Chiropractic now offers Same Day, Hospital Quality, Digital X-rays. With the addition of our new X-ray Suite, we can better serve our chiropractic patients who are in need of diagnostic imaging. High quality, high speed, low radiation x-rays can be taken and interpreted within minutes. Patients can be examined, diagnosed, and treated all on the first visit. We can assess a simple misalignment, as well as complex fractures and dislocations. We can even diagnose arthritic and autoimmune conditions via x-ray. So, whether it’s an auto accident, a slip and fall, or chronic pain issues, a picture can say a thousand words. The ability to use diagnostic x-rays to help us diagnose your spinal mis-alignment, whiplash or other issues quickly will have you on the road to recovery that much faster. A proper diagnosis, highest standards of care, & time and cost efficiency for our patients is our top priority here at Hatch Chiropractic in Parker CO.
A visual exam of your spine gives us a great sense as to what your overall spinal health looks like and how we can most successfully address your needs. 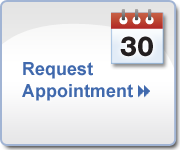 If you or someone you know is interested in Chiropractic care and/or X-ray imaging, please feel free to make an appointment by calling 303.841.7121 or you can request an appointment right here on our website.